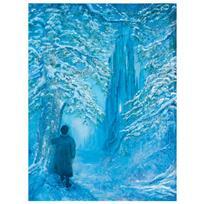 Harrison Ellenshaw, "Ave Maria" Hand-Embellished Limited Edition Giclee on Canvas, Licensed by Disney Fine Art, Numbered 16/195 and Hand Signed with Certificate of Authenticity. This Piece Comes Custom Framed. "Ave Maria" is a hand-embellished limited edition giclee on canvas, numbered 16 out of 195 and hand signed by Harrison Ellenshaw. This piece is licensed by Disney Fine Art. This piece comes custom framed. Includes Certificate of Authenticity! Measures approx. 38" x 28" (with frame); 19.5" x 29.5" (image). Artist and filmmaker Harrison Ellenshaw was initially reluctant to follow in the famous footsteps of his father, Peter Ellenshaw. He even earned a degree in psychology from Whittier College and prepared himself for a career in corporate administration. Only when his father suggested that he take a temporary position in the matte department of Walt Disney Studios did Ellenshaw begin to consider an artistic career. Ellenshaw quickly established himself as a prominent matte artist like his father, and his talent was able to land him a job on the Star Wars set. After Star Wars, Ellenshaw collaborated with his father on the film The Black Hole, which earned the pair an Oscar nomination for visual effects. Ellenshaw’s extensive career has also included working with Industrial Light and Magic and Buena Vista Visual Effects. While maintaining a successful career in films, Ellenshaw also dedicated himself to fine art and held one-man shows in many prominent galleries. 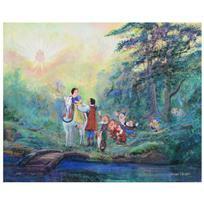 In 2002, Ellenshaw collaborated with father to create a number of highly sought-after Disney giclees. 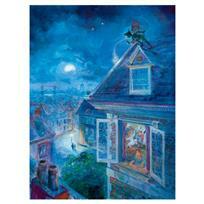 Currently, Ellenshaw makes his own giclees as well as paintings of cityscapes and landscapes. 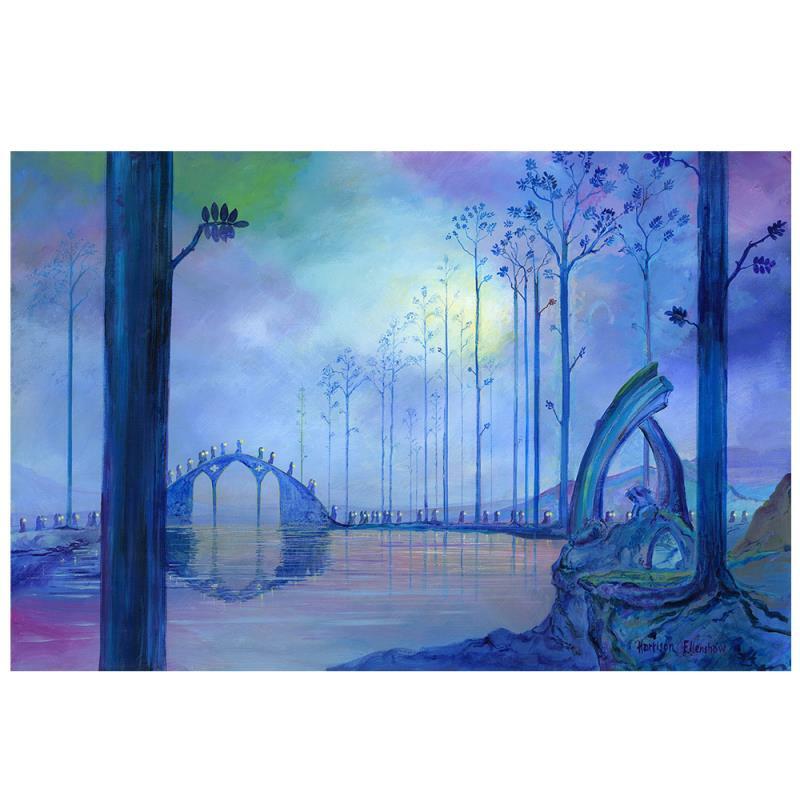 Harrison Ellenshaw, "Someday My Prince Will Come" Limited Edition Giclee on Canvas, Licensed by Disney Fine Art, Numbered 32/195 and Hand Signed by the Artists. Comes with Certificate of Authenticity.